A strange creature is appearing in our meadows and small clearings at dusk and at times it’s seen strutting about rural muddy roads on the wilder side of Oakland County. 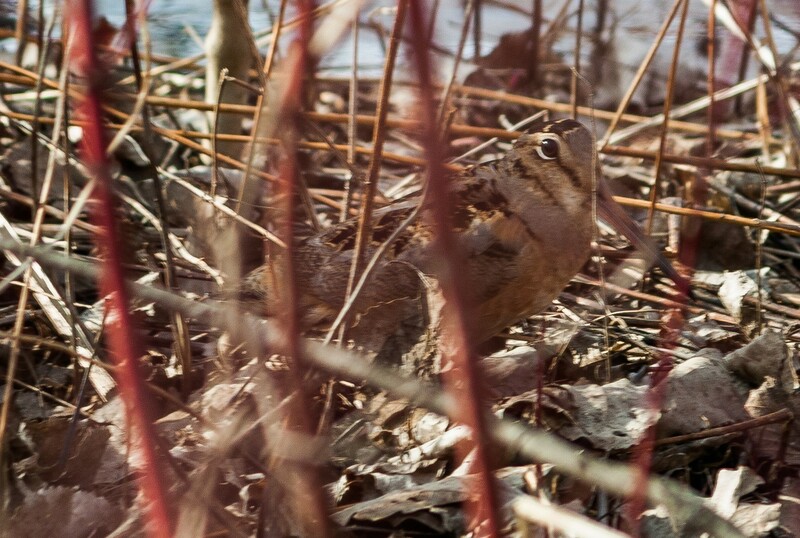 The American Woodcock (Scolopax minor), also commonly known by the affectionate name of Timberdoodle, is underway and much of Oakland County is prime breeding habitat. Although they are related to Sandpipers, Timberdoodles prefer a totally different habitat than the Sandpiper’s shoreline. The Timberdoodle is a ground-dwelling, short-legged, rather rotund little bird with a very long straight bill that is very much at home amidst the woods in early stages of succession. They are strange looking birds with big eyes set far back on the head, apparently an adaptation that evolved for predator detection as they probe for earthworms. 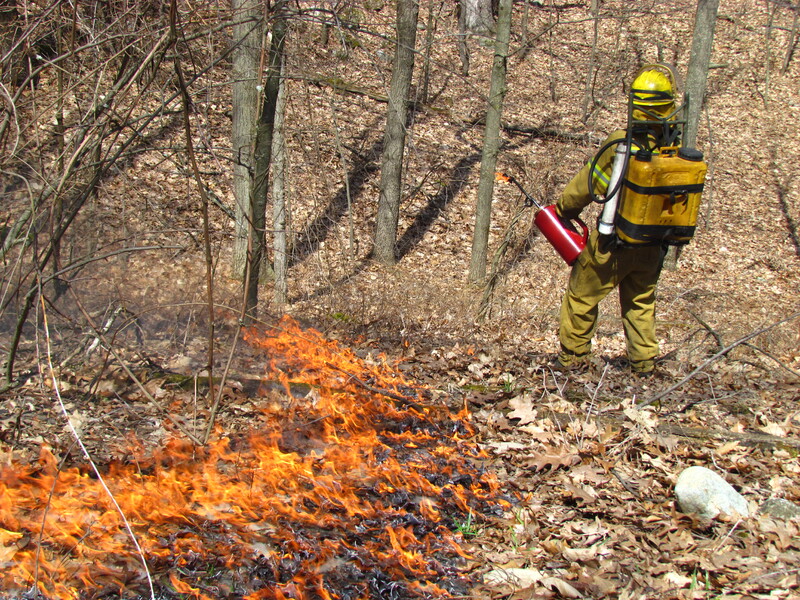 I’ve noted over the years that their annual spring appearances in Oakland County tends to coincide with the prescribed fire season. 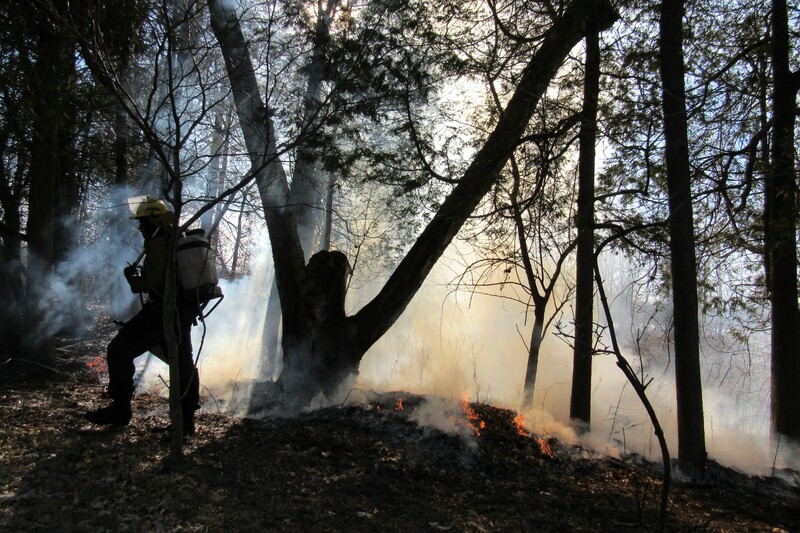 Professional wildland fire crews conduct burns in many of the larger parks and wildlands before everything greens up. That seemingly trivial coincidence takes me back to wonderful encounter six years ago as I tagged along with a contracted wildland fire crew to photograph a large prescribed burn at Independence Oaks County Park. Historically, fire caused by lightning, or started by Native Americans was a frequent and natural component of the landscapes of the Midwest and benefited the oak-hickory woodlands and prairies as well as many types of wetlands. The carefully executed fire at Independence Oaks was for ecological restoration and went as planned. The Timberdoodle encounter was not planned. I was suited in flame retardant Nomex and wearing a backpack wildland fire pump holding five gallons of water as I worked alongside a crew member patrolling the edge of a fire break, not the typical outfit for bird watching. Dusk brought drama. Even over the crackle of flames we both suddenly heard a noise that would have been missed by many—the unmistakable repetitive one-note peent of a Timberdoodle. It’s a sound that birders and nature lovers know; a sound that announces a sky-dance is about to begin. It was not fleeing the fire, but had just landed in an area that had burned perhaps 20 minutes earlier and was now using that blackened open area for its courtship ritual. Timberdoodles are attracted to open areas and what was a tall weedy area with invasive shrubs had transformed in minutes into the perfect courtship meadow; a reminder that when given a chance nature finds a way. 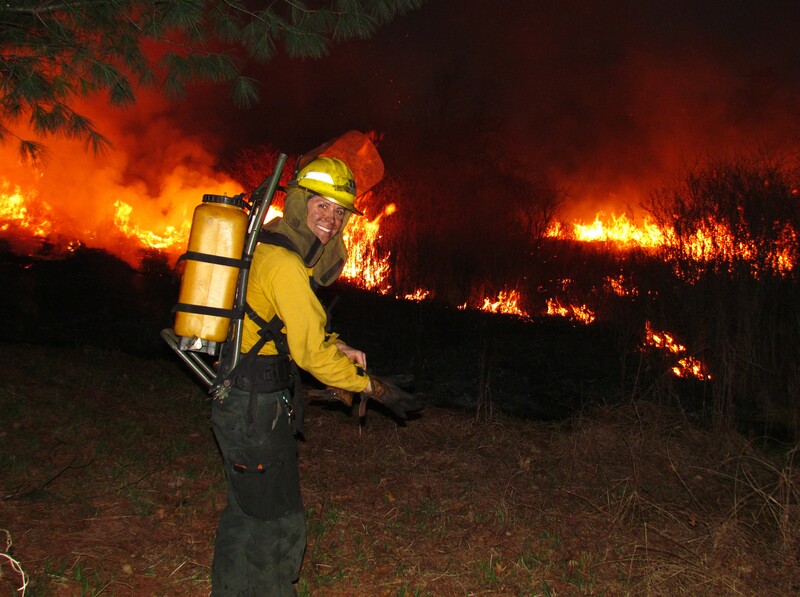 Timberdoodles have fascinated birders, nature writers and wildland firefighters with a love of nature for a long time. Aldo Leopold described the courtship theater of the Timberdoodle in his timeless classic, A Sand County Almanac, “The stage must be an open amphitheater in woods or brush, and its center there must be a mossy spot, a streak of sterile and, a bare outcrop of rock, or a bare roadway.” We took a momentary break from our fireline patrol to listen to the male Timberdoodle peenting. He suddenly exploded into a rapidly ascending spirally flight that may have exceeded 200 feet. We quickly lost sight of him in the smoky darkness, but could hear his sky-dance of musical twittering and winnowing whistling sounds made by wind against wing feathers. About ten seconds passed and he landed in the ash near us to repeat the performance in hopes of attracting a female. I have yet to hear Timberdoodles in my meadow this spring, an area I manage with fire, but have noticed that they seem to first appear at dusk about the time spring peepers sing and bats flutter about with an encore performance as the moon sets and wild turkeys gobble. My wait goes on for this year’s first magical sky-dance, a wild moment of nature backlit against the dusk that is well worth the wait. Start your search too and listen for the nasal peent, most often heard from sunset to an hour afterwards in open areas, fields, meadows and parklands all across Oakland County. Find a theatre of your choosing, sit patiently and wait for the sky-dance to begin. If the Timberdoodle is a no show, try again in the morning as the moon sinks to the horizon while the glow of the sun still hides beneath the horizon. Visit the Oakland County website, and follow us on Facebook, Twitter, Instagram, and Pinterest for more news and events year round. Join the conversation using #OaklandCounty.